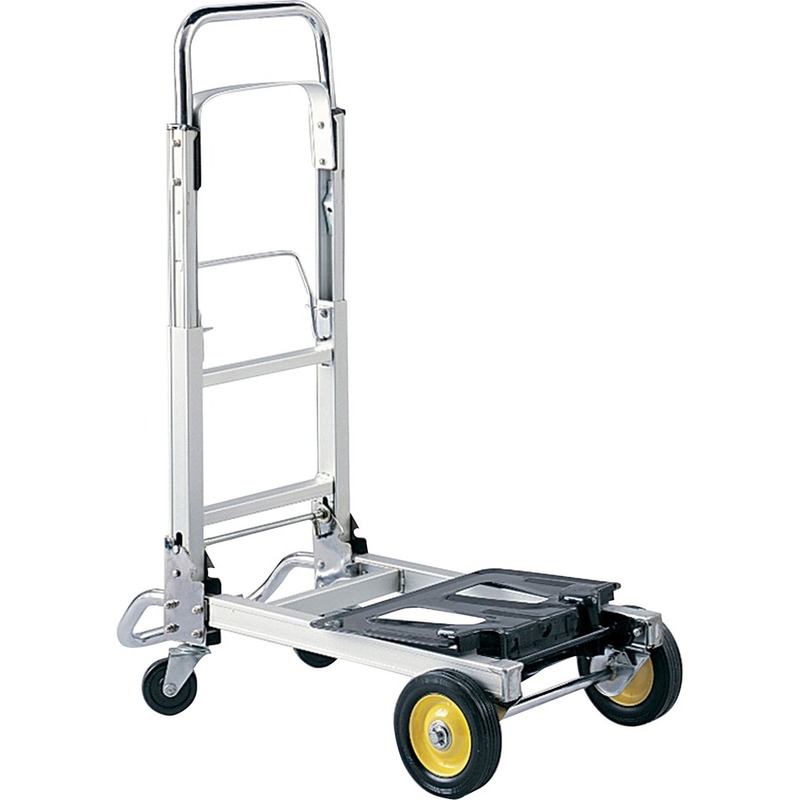 Folding capability of Hideaway Convertible Hand Truck allows you to keep these trucks close at hand for immediate use. 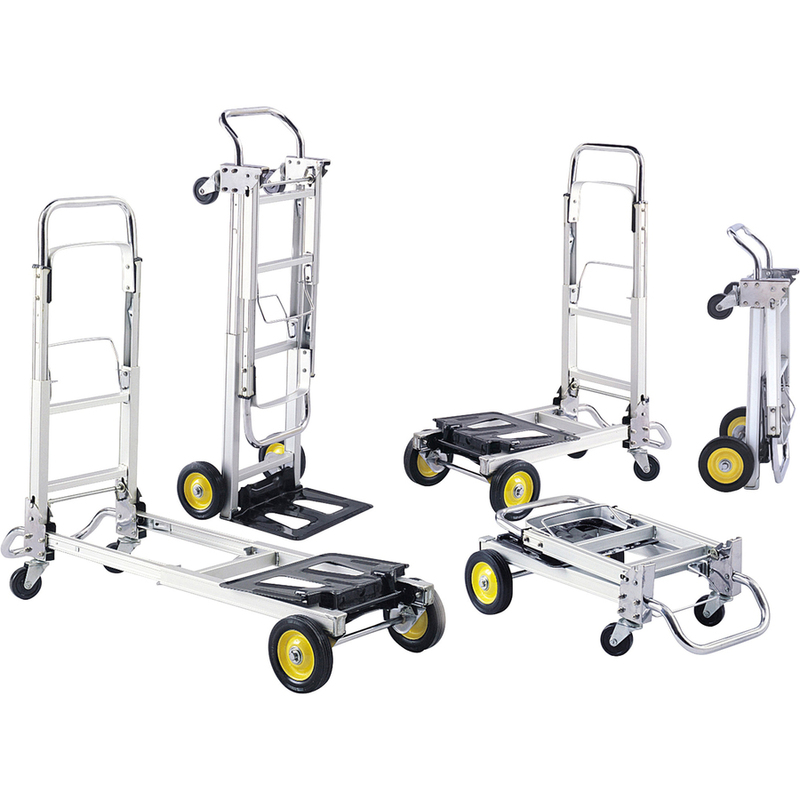 Collapsible hand truck and platform truck are offered all in one. Steel handles extend for use and retract for storage. 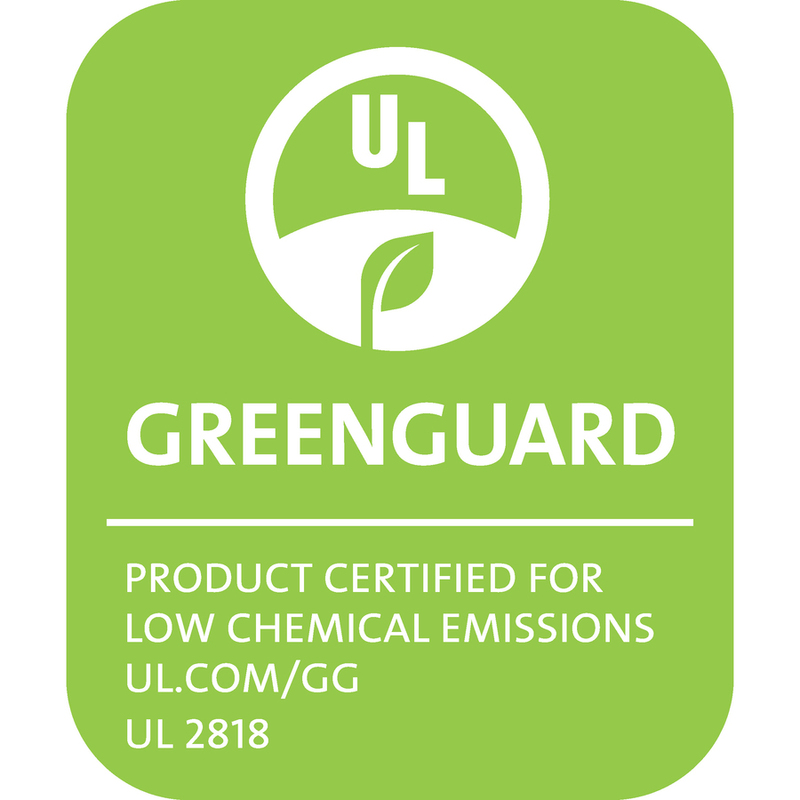 The aluminum platform can extend more than 50 percent for use and retract for storage. 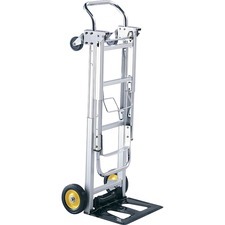 Hand truck includes a 14" x 9" toe plate, two 6" solid rubber wheels and two 3" solid rubber casters. 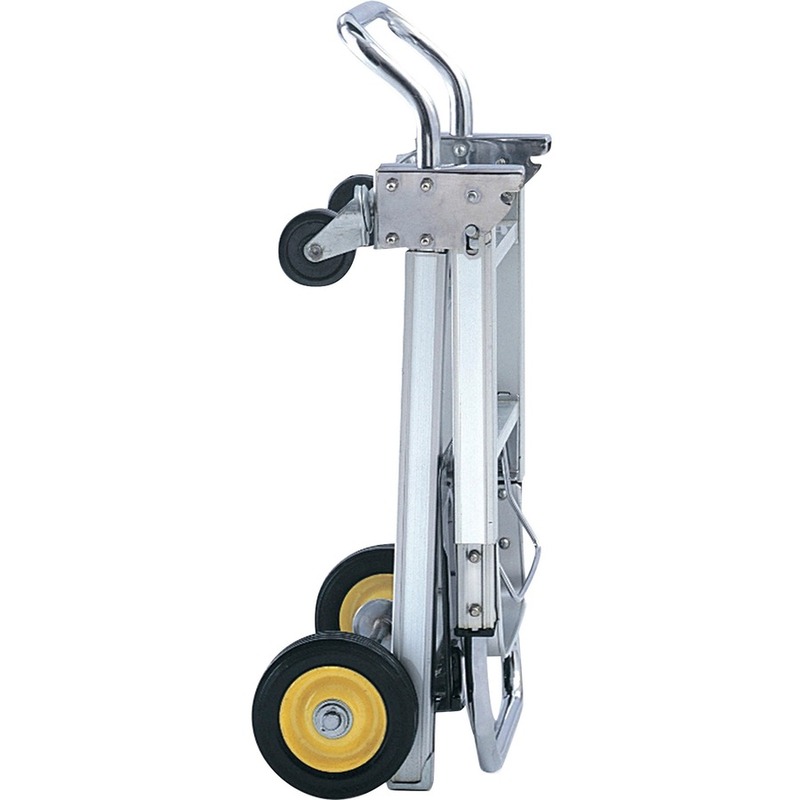 The two-wheel hand truck configuration holds up to 250 lb. 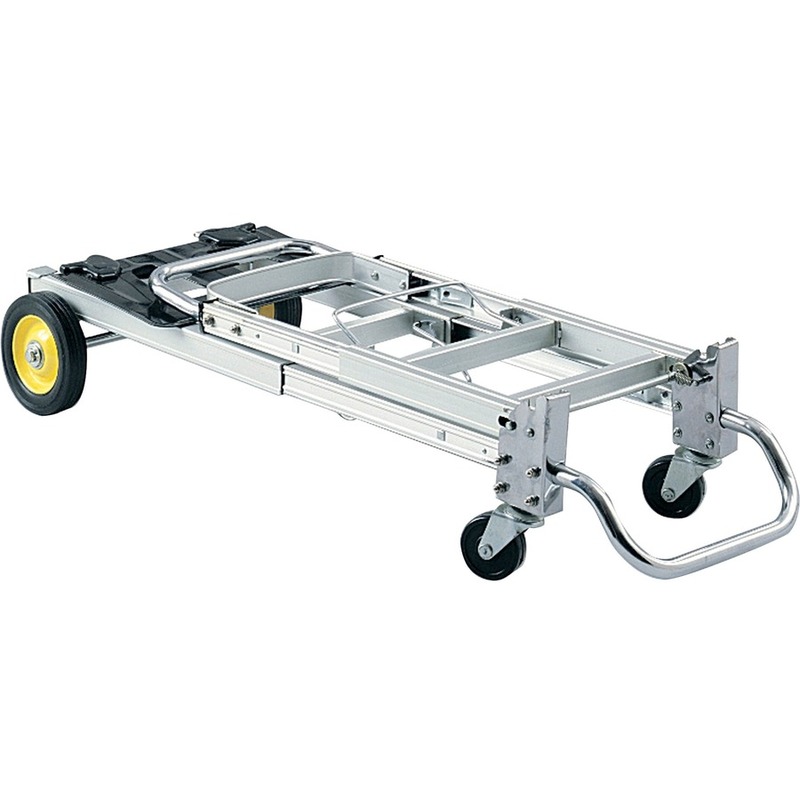 Platform truck (four-wheeler) configuration holds up to 400 lb. Collapsed dimensions are 15-1/2" wide x 9" deep x 28-1/4" high.